In case you missed it, the NC DMV has been operating a secret “model” office tucked away inside their Raleigh headquarters. That’s right a secret little DMV office inside a bigger one that offered special access. 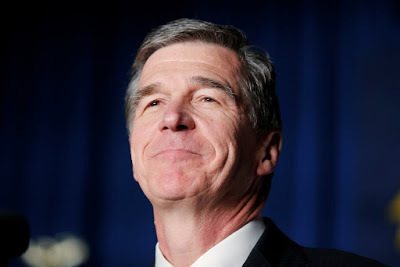 According to Nick Ochsner with WBTV, while we peasants were waiting in long lines for our new Real ID’s, select state employees from various divisions including members of Governor Roy Cooper’s staff were taking advantage of private concierge-like service. In August, the office was open from the 13-16. A list of state employees who signed up for the August appointments – which was available online through the software used to schedule the appointments – shows senior employees from Governor Roy Cooper’s Office, the North Carolina Department of Agriculture and staff from the North Carolina Department of Transportation all took advantage of an email inviting them to sign up. It must be good to be the King. Or the friends of the King. The article goes on to detail how a spokesman for the DMV initially lied about the existence of the DMV’s concierge=style office but then backtracked. The DMV and someone in NC Attorney General Josh Stein’s office also refused to furnish sign-in lists from previous months. "Lawyers for WBTV are currently fighting for access to the documents." A spokesman for NCDOT Secretary Jim Trogdon couldn’t answer as late as Monday evening whether the secretary was aware of the special office available for use by select state employees and their associates. Multiple emails to the Governor’s Office media inbox requesting comment on whether Cooper thought the employee-only driver’s license office was appropriate went unanswered. Roy Cooper’s office not answering emails or requests for information? Say it isn’t so! I did end up getting some of them those requests to Cooper’s office back but still didn’t get what I asked for. Funny how cell phone text records contained none of the of topics I asked about. But wait, there’s more. This is Roy Cooper’s idea of transparency. Another request I sent to the Cooper office at the same time I sent the others was returned to me along with two responses that I did get. Here’s the punchline: I was told that I had to resend it to an entirely different division. Cooper’s office had this request for a YEAR, which was apparently just long enough for the materials to have been sent elsewhere. Josh Stein and the Attorney General’s office still has not responded to the request I sent them. It’s now 16 months old. Meanwhile, lawmakers are now starting to ask questions about this special DMV. 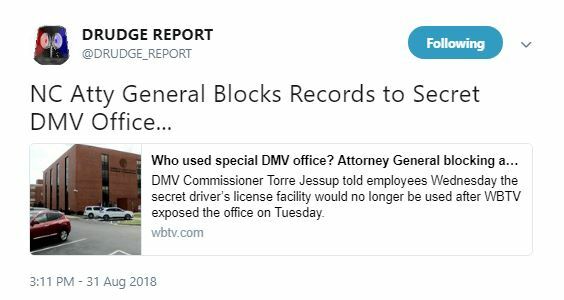 Update: The NC DMV released a statement and admitted to running a super-secret special access office. DMV also made REAL ID services temporarily available to employees of state government, one of the state’s largest employers, at a training room at NCDMV Headquarters in Raleigh. State employees of various state agencies were notified of the temporary services by email. The DMV training room is typically used to test equipment and train staff, and was used to provide temporary driver license services for 9-15 hours a month from January through early August. Other state agencies scheduled mobile units to come to their locations to assist their employees. So an email went out notifying state employees of “various agencies” about this special access perk? Who was that email sent to? A copy of it, headers and all, should be made public for all to see. The DMV statement did not include the list of individuals and their family or friends who had been using this office. What was included was a list showing where the mobile units roll out to regularly. Apparently, these mobile units regularly hit places such as prisons and correctional facilities. Big need for Real ID there, eh? This entry was posted in LL1885, POLITICS NC, Roy Cooper and tagged Josh Stein, NC DMV, Roy Cooper. Bookmark the permalink. Thanks for sharing. Yes I saw this on the news late yesterday afternoon. How infuriating.